Review: This was a fun, quirky read. 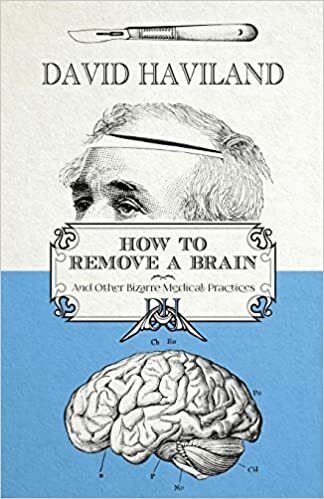 It’s full of interesting stories and tidbits about medical history, including, of course, how to go about removing a brain. Each chapter is broken down into multiple stories relating to one overall theme, meaning it can be read quickly, which is always nice. David Haviland managed to write the exact amount needed for each topic, never going too far or coming up short. The reader is given the relevant information and can go on to read more on their own time if they want, which means the book isn’t bogged down with too much needless information. Haviland debunks popular medical myths and discusses how they most likely started. He also finds the obscure fact in order to keep you on your toes. I recommend this book to anyone who likes medical facts, history, and stories and wants a quick, fun read. Review: This book wasn’t terrible, but it wasn’t really my cup of tea. It was sort of Alice in Wonderland meets The Mortal Instruments meets Social Justice Warrior. 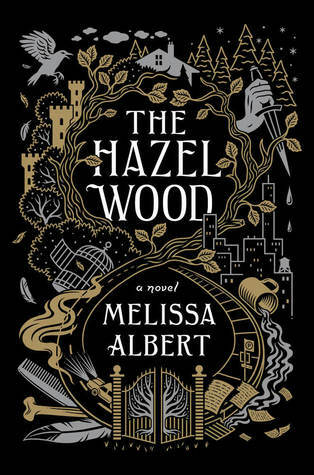 The author was clever in how she wove the aspects of the original tale into her adaptation, which is why I thought it was an OK read. Unfortunately, many of the hot button issues that were addressed in the story such as race relations and violence were not fully fleshed out and I was bothered by the occasionally prejudiced dialogue, the selfish characters, and the anti-law enforcement undertones. I will, however, note that many of the elements I found to be problematic are mostly in the first half of the book. The second half of the book is, in my opinion, a much more enjoyable read than the first half. 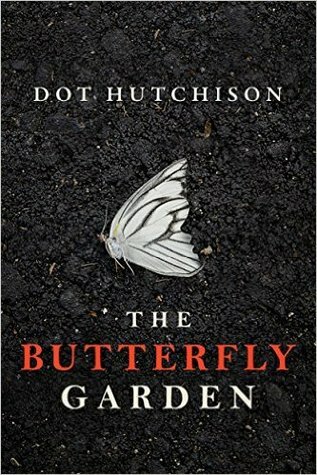 I initially thought I would be rating this book with two stars, but it went up to three as I neared the end of the book. 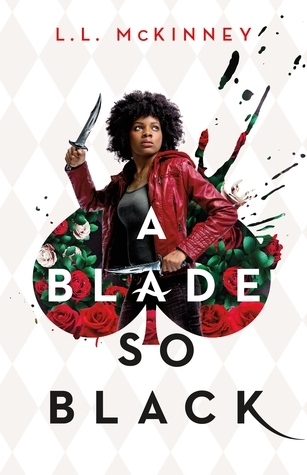 I believe this is McKinney’s debut novel, so I imagine her character/plot development and pacing will continue to improve in any subsequent books in this series. I did listen to this book in audiobook format, and although I thought that the various voices chosen by the performer worked for the characters, I thought that she had some difficulty with transitioning between those voices. At times this was confusing, but overall I liked the cadence of her voice and thought she did a good job. ‘Village history does not reside in the public domain but is owned by various individuals and families- a copyright legitimised by an ancestral connection to a major participant in the narrative.’ This is the line that fully gripped me and made me realise how much I was going to enjoy reading the book. It shows how much research went into writing it, since this is not something that could be easily understood. Randell clearly went to extraordinary lengths to write this book, and it shows. I loved his dedication to making sure the reader understands the culture of the island, and I think that’s what makes the book such a good read. 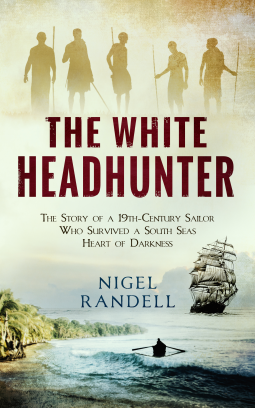 It appealed to my love of both history and anthropology and I recommend the book to anyone who likes either. Review: This is an example of a fairytale done right. In the same fashion as the Brothers Grimm, Albert weaves together a series of dark and twisted tales with no morals and a whole lot of death. I can honestly say that I never knew what to expect with this story, because it is not an adaptation of anything I am familiar with. It does have echoes of Alice in Wonderland in the sense that a character named Alice portals into a fantasy world; however, that seems to be where the similarities end. I enjoyed the characters, and the dialogue, and the way the author wove together a modern day setting with a more fantastical one. I am also a sucker for stories within a story, and I was very pleased to find out that although this could easily have been a standalone, there will be a continuation of this story in another book. There were a number of story titles mentioned that were not told, and I am hopeful that those stories might be revealed in the next installment. I also hope that there is more to the story of Alice and Finch. Fingers crossed! As always, Rebecca Soler was a perfect performer in this story. Loved it in audiobook format! Review: In the past I have enjoyed both books relating to Greek mythology and World War I/II. Never before have a read a book that combines both themes. It is an interesting concept, and I gave the book an extra half star in my rating for originality. There were parts of the story I really enjoyed, however, there were also parts that I felt fell short of my expectations. This story is meant to be a sweeping romance, intertwining three sets of lovers, but I did not feel swept away by any of the couples. It is a very sweet story, and I greatly enjoyed the historical aspects. 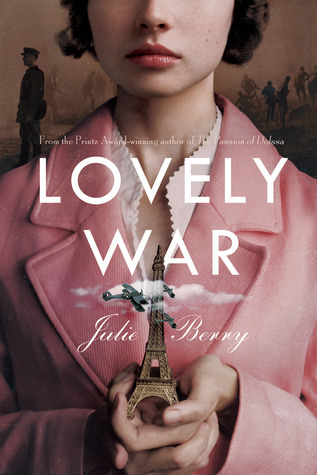 The two mortal lovers are struggling through a very dark point in history, World War I. This is a less common setting than the more commonly discussed World War II. Trench warfare is truly heinous, and I think the author did a good job of depicting how wretched and traumatizing fighting in this war was. I was less of a fan of the insta-love that sprang up between the two mortal couples. I know that war has a tendency to heighten emotion, but the complete and utter devotion that the couples felt towards each other upon meeting was a bit difficult for me to wrap my head around. I was not at all a fan of how the author incorporated the mythological aspect of the Greek gods into the story. To be honest, it didn’t really seem as well constructed as the rest of the story, and it did not really add much to the plot other than an introduction of the mortal characters. I think the story would have read equally well if this portion of the story had been eliminated entirely. In the end, I can safely say that I liked the story but did not love it.